Is Scotland better off without England and Wales? a) Going it Alone: b) As Part of a UK System or c) Autarkic – localised energy systems. But are these targets ambitious enough in light of accelerating climate change impacts? Germany has a report exploring three energy Scenarios with which, by 2050 they will have 100% renewable electricity supply. Sweden has pledged to be ‘Oil Free’ by 2030. There are a number of UK wide projections  but Scotland is already renewable-energy autonomous in the South West and North of the Great Glen and perhaps could be 100% renewable by 2030? The potential does exist with our huge natural renewable resources. Existing studies employ traditional energy industry accounting approaches that may not result in truly Sustainable or Successful development and that ignore extraordinary renewable energy developments at building, community, city and regional scales. Backcasting is done to arrive at credible and implementable visions of desirable futures as opposed to Scenarios and other Future studies aimed at producing likely, possible or normative future projections. We start with the desirable Vision of being 100% renewable by 2030. 1) Interrogate three Visions of energy supply for Scotland for 2030. 2) Involve participation from a wide range stakeholders, including a core of academic, community, city, government and SME participants, to not only inform the development of the vision, but to act as a dating event to put clients, theorists and industry together to potentially help build the envisioned futures. 3) Scope out a structured programme of follow-up activities for interested stakeholders to turned visions into technological and economic realities help Scotland lead in such markets. The Standalone Scottish Network scenario: All regions (Highlands and Islands (North), Central, South West and South East) in Scotland make extensive use of their regional renewables potential. Electricity is exchanged throughout the country. Pumped storage potentials are exploited, Electricity imports are marginal but exporting energy encouraged. Local Energy Autarky scenario: In this scenario, small-scale decentralised energy systems, at building, campus or estate, community, city and other scales, largely using locally available renewable energy sources, maximally efficient technologies and storage to satisfy their own power demand without electricity imports. UK Centric scenario: Electricity production and storage is based on large scale technology and mega-grid projects in the UK and its vicinity. Electricity is distributed via an upgraded transmission grid. Electricity production is optimised by distributing fluctuating feed-in from renewable energy most efficiently throughout the UK. 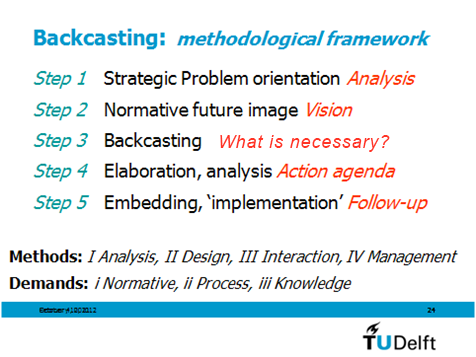 Figure 1: (a) Backcasting: key concept and characteristics & (b) methodological framework with steps, types of methods & demands. 09.30 Event Opening & Purpose, Susan Roaf of ICARB and Donald Booth of the Energy Technology Partnership, the event sponsors. Jaco Quist is an assistant professor with the Energy & Industry Section at the Technology, Policy & Management Faculty of Delft University of Technology. He has completed a dissertation on participatory backcasting that was published by Eburon Publishers in 2007 as Backcasting for a sustainable future: the impact after 10 years (see www.eburon.nl or repository.tudelft.nl). His current research interests and activities include backcasting, foresight, (system) innovations towards sustainability, stakeholder engagement in responsible and sustainable innovation and technology assessment. 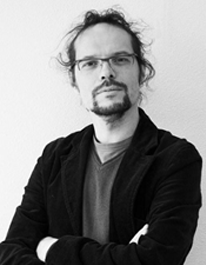 In one of his current projects he is exploring ‘Supportive environments for sustainable living’, using transition management, backcasting, end-user practices and individual behaviour studies See: http://www.incontext-fp7.eu/He is also involved in the project ‘The next 50 years: developing robust strategies for the gas transition in the Netherlands’. 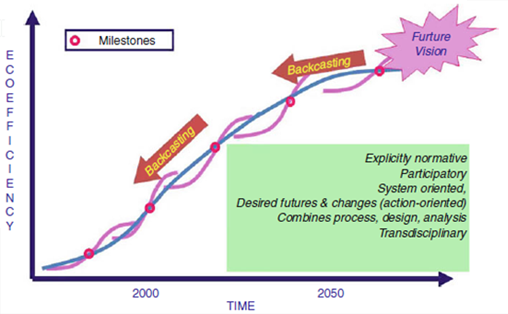 References: Quist J, Thissen W, Vergragt P (2011) The impact and spin-off of participatory backcasting after 10 years: from Vision to Niche, Technological Forecasting and Social Change 78(5): 883-897. Per Lundqvist earned his Ph.D. in 1993 from KTH. 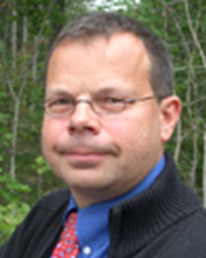 In 2007, he was promoted to full professor at KTH, where he serves as co-Head of the Division of Applied Thermodynamics and Refrigeration. Since 1999 he is the director of undergraduate and master’s studies in the School of Industrial Engineering and Management and School for Energy and Environmental Technology. Prof. Lundqvist is a co-author of the IPCSS report on the influence of refrigerants on the global climate and has served as President of Commission E2 in the International Institute of Refrigeration, whose focus is research, education, and international collaboration on climate issues related to refrigeration and heat pump technology. He has been working with the Swedish Government on their future energy scenarios. This entry was posted in Carbon News, Recent Workshops, Workshops on February 14, 2014 by Richard Roaf.